Everybody has a story about how he became a Na Nach... this is mine (don't worry, I shortened it). I was living in Oslo and my friends made this secret deal with the Pals. I had a serious feeling that history was following me around since I knew personally to children of two presidential candidates, etc... Feeling a terrible sense of responsibility for what was happening, and feeling that "there are only two years left to meet the "mover and the shaker" I decided to leave my wife and children to "save the world". Since blatantly there was no one wise enough to tell me precisely what I needed to do with my life to achieve this goal, I made G-d responsible. He would have to send me a letter in writing with his signature. It is only fair since of what use was this body and this life if I didn't know how to use it? my wife on the 27th and my daughter on the 23 of February, the national day in Norway falls on the 17th of May etc...I asked for the 17 to be my sign, and had a feeling that my request was rather obviously accepted. Needless to say, I was delighted and a bit surprised when I saw the Petek. It took me a long time to realize that it really is for everybody, but I d spread it around and intend to continue doing so!!! In this weeks parsha, parshas Balak, we see an amazing deed done by Ha-sHem, This deed was the brachos and the praises given to bnei yisroel through bilaam, a "navi" of the other nations. Bilaam had the ability to talk to g-d, in addition was able to say a bracha or a curse and it would come true. Bilaam was hired by Balak to curse the Jews, because Balak knew the true strength of bnei yisroel because they had Ha-ShEm, and knew that because of the kedusha that they had, they would easily defeat Balak. We see towards the end of the parsha, that instead of bilaam cursing bnei yisroel, he gave amazing brachos, some that we find in the morning brachos. 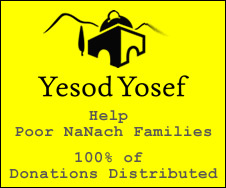 The question is, what did bnei yisroel do, that Ha-sHeM would have so much love for them, right after complaining to Moshe, that it would have been better to be left in Egypt etc. found at the end of parshas chukas. The answer is hisbodidus. Right after complaining to Moshe, Ha-SheM sent serpents to bite and kill the people that were compaling amongst bnei yisroel. While this was occurring bnei yisroel realized how much love Ha-sHeM has for them, and how much kindness he had done for them, and immediately confessed that they sinned against Ha-sheM, and regretted it, and this act they they did-hisbodidus ultimately gave them the zechus to instead of being cursed by bilaam, being blessed by bilaam. The power of hisbodidus is amazing! Just speak from the heart, in your own language everything and anything on your mind. Admit any wrongdoings to Ha-SheM and think of ways to just start new, and work on doing the right things. As seen in this weeks parsha, it can also turn a gzar din (decree given from heaven) into bracha that lasts for an eternity. Na nach Nachma Nachman meuman!!!!!! After a few moths of being down, our donation page is once again back up and waiting for your generous donations to help spread Nanach. We have a number of important projects on hand including a new greatly expanded version of NaNachMusic.com which has also been down for a few months already. THE SHEKEL WILL CONQUER THE WORLD! It's going to happen before they change it... All currencies will drop and our enemies will find themselves with worthless dollars! We want to help America of course and will print Shekels as an emergency measure to help the old, New Israel. On condition that they accept that Jerusalem is the Capital of All Israel! I don't think it's a joke that G-d chose to put the printers of the first book of the presidency on our money! ALL OF THEM BELIEVERS IN THE PETEK!!!! Not fools, talmidim chochamim! The first minister of education is the receiver of the letters... Any world power leader that ignores them from now on will be utterly powerless and ignored himself! The world is past the age of playing with toys. (and dolls). Bar Mitsvah time, grow up world, te shekel is stronger then the mightiest army! Because---> to G-d who created Heaven and Earth nothing presents a challenge. NOTHING! May we all merit to follow the advice of Rabbi Nachman because our lives truly depend on it. Everyone is invited to the wedding of Mordechai Tuvia Romanoff to Daphne Amar, tomorrow, June 4th, starting at 6pm, Chupah at 7pm. At The Atrium, 401 W Route 59, Monsey, NY. The chosson (who is my brother) has requested for people to bring Tikun Klali's, Pitka's, books, stickers, etc., and of course lots of simchah. Na Nach. No need to spend 40 years and everyone dies in the desert. No need to stone the poor fellow that collected wood on Shabbas. for a collective sin or an individual sin through a specific sacrifice. Obviously he was hoping we would use the technique he had just revealed to us. We did the opposite in both cases! I can't help but wonder...am I also ignoring an opportunity for pardon? These practices [brought down in the books of Rebbe Nachman] are holy and precious practices that each and every person can use to come close to Hashem through these practices, as they are customs that are equivalent to all whether a person is big or small. Even the lowest Jew if he wishes to to have mercy on his life and to think about the everlasting purpose and then accustoms himself to go in these channels and paths that are mentioned here [in the books of Rebbe Nachman], will for sure merit the 'Next World' and will be able to reach very high and holy levels like those of high spiritual rank, if he is strong in his mind to hold onto his good path consistently, like a strong peg so he does not fall. Even though Rebbe Nachman was already holding on high spiritual levels, during his youth he would outwardly perform many childish actions. As he grew older Rebbe Nachman started entering the Service of Hashem. Yet all his spiritual worship was very very concealed, so much that not a single person knew about him at all since he was very hidden and concealed. All of his spiritual service was done very hiddenly and secretly. In the beginning the bulk of his spiritual service was with great simplicity and without any wisdom at all, just in complete simplicity. Each and every thing he accomplished was with great effort, major dedication and self sacrifice. There was not a single spiritual practice that came to him easily. Rather each and every spiritual practice came to him only though tremendous effort, where he would strain himself time after time for each and every element of his spiritual service. He had countless ups and downs, thousands and tens of thousands, without count or number. It was very hard and heavy upon Rebbe Nachman to begin entering the the Service of Hashem and to accept His yoke upon him. Often he would start for a few days, dedicating himself to the Service of Hashem and then he would fall from that. He would then get up and start again and then he would fall again. This repeated itself many times until one time he strengthened himself that he will remain strong in the Service of Hashem forever and he will not pay attention to anything that happens. From then and on his heart became strong in Hashem. Although even afterwards he constantly still had many - many ups and downs, yet from that point on he was strong that he would never stop his Service of Hashem, even though occasionally he has a descent, even then he will strengthen himself in his Service of Hashem to do whatever he could.